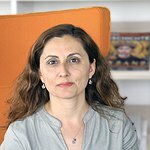 Rabia Harmanşah is a cultural anthropologist with areas of specialization that include religion, politics and memory studies, with a particular emphasis on Cyprus, Turkey, Eastern Europe and the Middle East. In 2014 she completed her Ph.D. in anthropology with the dissertation Performing Social Forgetting in a Post-Conflict Landscape: The Case of Cyprus, drawing on two years of ethnographic fieldwork in the Republic of Cyprus and the Turkish Republic of Northern Cyprus, from the University of Pittsburgh, along with a graduate certificate in advanced Eastern European studies. Rabia Harmanşah worked as a field researcher in the project “Antagonistic Tolerance: Long-Term Sharing of and Competition over Religious Sites in Turkey” (2007-2009) and the project “Secularizing Sacred Sites: The Museumification of Two Saints’ Shrines in Turkey (Mawlana Jalal-ad-Din Rumi and Haci Bektash Veli)” (2008-2009). From 2010 to 2012 she was a research consultant of “Cyprus Critical History Archive Project” for the Association for Historical Dialogue and Research and the PRIO Cyprus Center. Rabia Harmansah is also currently working on an exhibition project on shared spaces in Cyprus. Funded by the Wenner-Gren Foundation (USA) Engaged Anthropology Grant, this public anthropology work features a variety of narratives, personal accounts, newspaper articles and visual material related to the religious sites, where sharing occurs or used to occur in the past. The project encourages local people to contribute their own stories, memories, and photographs, thus, giving voice to local users of the sites and fostering dialogue between the Greek and Turkish communities.